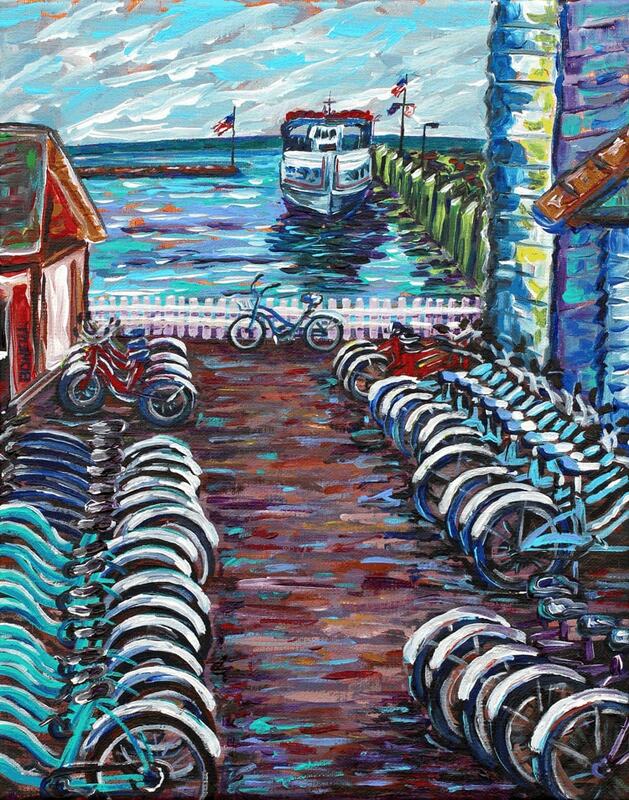 Bikes of Mackinac, Bike Rental, Mackinac Island, Ryba's, Michigan Painting, Fine Art Giclee, Shepler's Ferry. This is a giclee print inspired by Ryba's Bike Rental on Mackinac Island with Shepler's Ferry in the background. One early morning while visiting the Island, the sun sparkled on the rows of silver fenders and I knew I had to paint it! For me the bike symbolizes a chance to let the wind blow in your hair, enjoy freedom, and breathe deep!